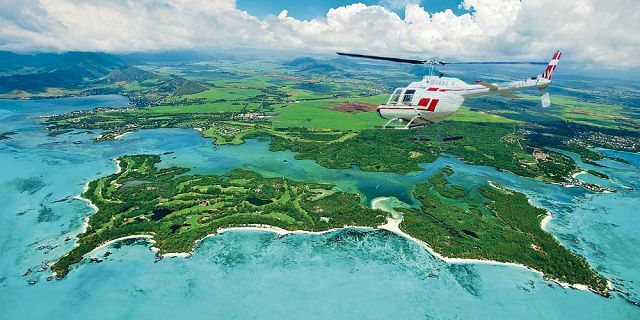 Experience the ultimate tropical golf paradise-a new way of playing golf in renowned and enticing golf courses, from an amazing helicopter tour to a golf course of your choice! Seasoned golfing visitors are pampered by some of the island’s award winning and luxurious golf courses with a multitude of facilities. 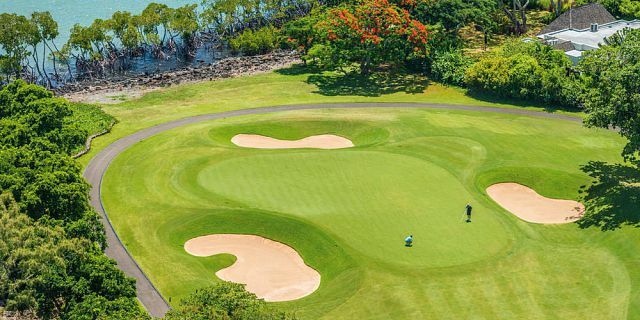 Resorts around the island offer you direct access to golf courses that cater specifically to the sport of golf with impeccably well-kept golf courses in the most beautiful settings. There are several interesting golf packages which include green fees, range balls as well as various golf resources. Additionally, several of the golf resorts around the island offer learning opportunities to apprentices through integrated golf academies. Even if you’re an absolute beginner the PGA (Professional Golfers’ Association) specialists will be able to help you hone your skills. The exceptional golf resorts offer you several excellent golf courses equipped with premium amenities in a magnificent tropical backdrop; ideal for nature lovers who would love to play day in and day out. It is a great opportunity for friendly get-togethers, family activities and even for informal business meetings. Golfers at all skill levels can enjoy these golf courses as well as the most demanding professional players. There is a great laid-back vibe and feel-good nature on all these exquisite courses found in stunning natural locations. Come experience these unique golf courses where you will feel a special connection between your favourite game and the wonderful environment. Experience what it feels like circling the golf course of your choice by air. 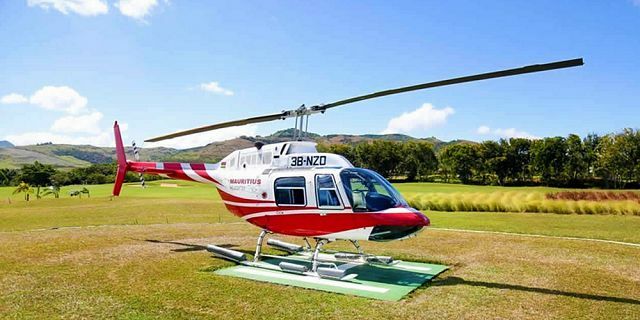 All you need is a reliable, fast, hassle-free and comfortable helicopter transfer to tee off at your favourite golf course. 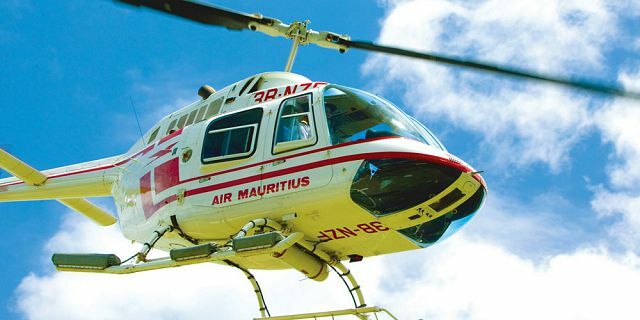 Mauritius offers you an eclectic range of top notch golf courses with 9 and 18 holes, including helipads designed by reputed golf architects. 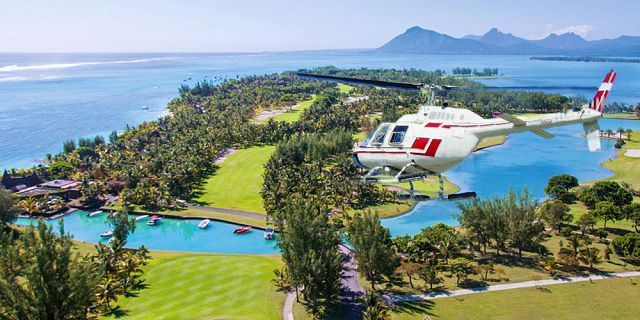 With this helicopter transfer, you can enjoy direct access to the golf course without the worry of land or hotel transfers. Choose your preferred golf course and we will do the rest. Designed by the renowned Australian professional golf player, Graham Marsh, the Maritim Golf Course is a rather unique combination of 9 holes (PAR 29). The Maritim Golf Course is perfectly designed for any golfer to play. It offers a tremendous variety in length, elevation and angle and a wide range of shots. Whether you wish to play at a beginner’s level or have a more advanced session, this course will suit all your needs, ensuring that you have a great time here. 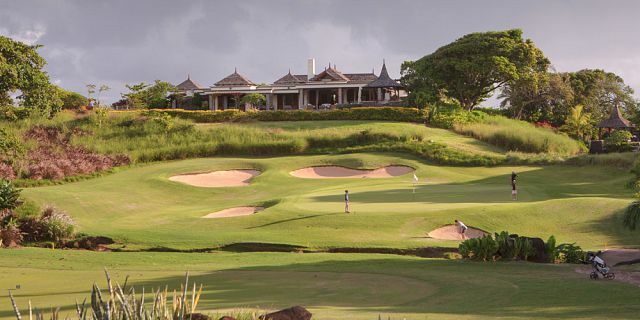 Designed by the South African champion, Hugh Baiocchi, the golf course is the first of its kind in Mauritius. Located along one of the most gorgeous beaches on the island, the golf course consists of 18 holes with distinctive characteristics, there are also superb fairways which are laid in the heart of an indigenous forest, culminating on velvet greens, made to US PGA regulations. Other facilities include a clubhouse which offers magnificent views over the golf course. The clubhouse is open from early morning offering a continental breakfast until evening for an exotic meal in a warm and refined atmosphere. The restaurant and bar is also opened for buffet breakfast, lunch and dinner. The Links Golf Course is an 18-hole championship golf course (par 71). It has many facilities such as the Legend Clubhouse including the Golf Academy ‘Marc Farry - Hugh Baiocchi method’, a driving range, restaurant, bar, separate lounge, pro-shop, changing rooms and rental of equipment. Coaching sessions are also available for both individuals and groups. 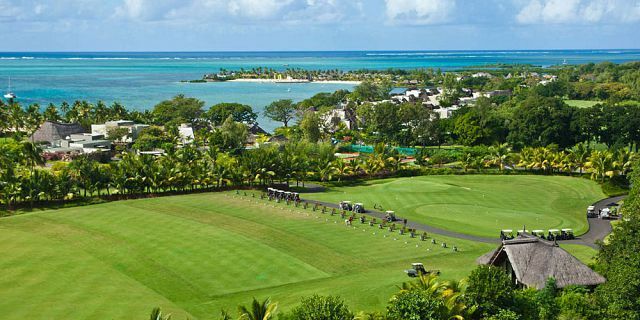 Enjoy a wonderful golfing retreat on the 18-hole championship golf course situated on the beautiful island of Ile aux Cerfs, off the east coast of Mauritius. It is featured as one of the most beautiful golf courses in the world by the Golf World Magazine. The golf course is designed by the architect Bernhard Langer, with over a length of 6 452 metres. The golf academy offers a variety of training programs and lessons, for players of all levels, both individuals and groups. It also provides ideal equipment such as a premises dedicated to video analysis systems. The practice course of the golf academy, a grass one, has its own targets to calibrate your distances. A putting green and a training bunker are also at the customer's disposal. Play on a full 18-holes golf course and perfect your game at the Anahita Golf Course, designed by Ernie Els & Bernhard. Ernie Els is one of the world’s best golfers holding more than 50 victories worldwide including three Major Championship titles. Designed by Peter Matkovich (South African golf architect), the 18-hole Avalon golf course is located in a lush green area with all-season fairways. The golf course covers some 275 acres of land (out of 544 acres of the whole estate). The natural contours and undulations of the golf estate not only enhance the course but also bring character to the game. The championship tees (gold) measure 6,318 metres, whereas the Club tees (white) measure 5,847 metres. 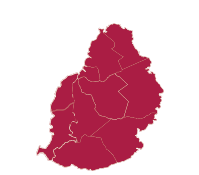 The men’s tees (blue) 5,499 metres and the ladies (red) 4,899 metres. The layout of the course was designed with the South-East Trade Wind in mind. All par 3’s and par 5’s play in different directions, thus providing the golfer with varying conditions throughout the round. The 18-hole golf course (par 72) is designed by Peter Matkovich (South African golf architect). 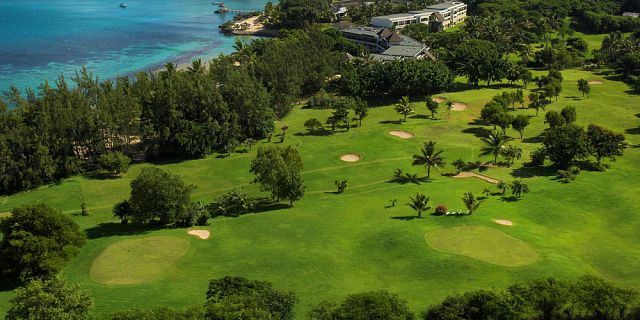 The golf course covers an area of 100 hectares and is a part of the Heritage Le Telfair Golf & Wellness Resort. The golf course is nestled in a wild reserve with a mountain in the backdrop offering some breath-taking views of the sea. Ideal for both advanced players and beginner golfers, the golf course features a number of holes which feature tricky elevations and blind greens including two rivers, ‘Citronniers’ and ‘St Martin’, which cross the fairways at unexpected places. 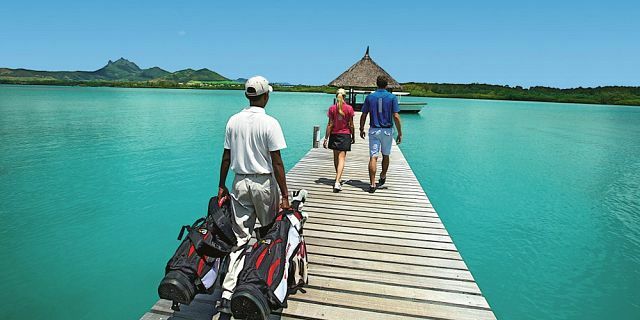 Paradis Golf Course is one of the most beautiful golf courses in Mauritius. 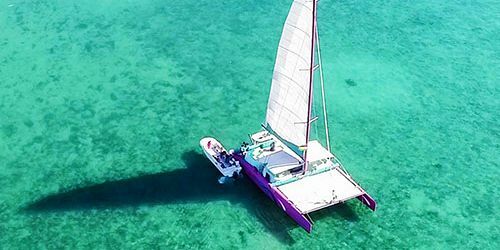 It is built within the resort's grounds, between the iconic Le Morne and the crystal-clear lagoon of the peninsula. Much of the creative design of the bunkers and fairways is attributed to international golf legend Tony Johnstone who has spent several years playing the course through its many evolutionary stages. It is an 18-hole, par 72 golf course. The course is a pleasure to play and offers a challenge to all golf enthusiasts. This helicopter golf transfer is done directly from your hotel’s helipad or any other helipad available in the surrounding regions, close to your hotel/ place of accommodation. Upon request, we can cater for land transportation from your place of accommodation to the location of your chosen helipad (at a supplement). Please note that, in some cases, landing fees are applicable for using the helipads. These fees vary for the different helipads as detailed in the table below. 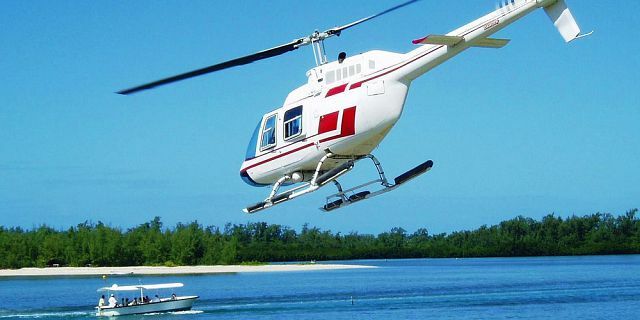 The landing fees are to be paid on the day of the flight, directly at the helipad. The five-place helicopter is the safest single engine helicopter in the world. It is a turbine engine powered helicopter. 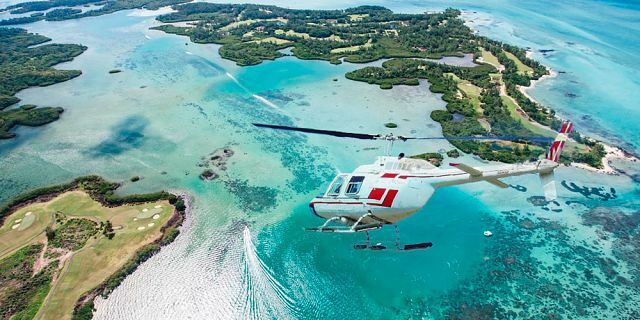 The helicopter is fast, comfortable, reliable and provides an unrivalled view. The fleet comprises a seating with a capacity of 4 passengers plus the pilot. 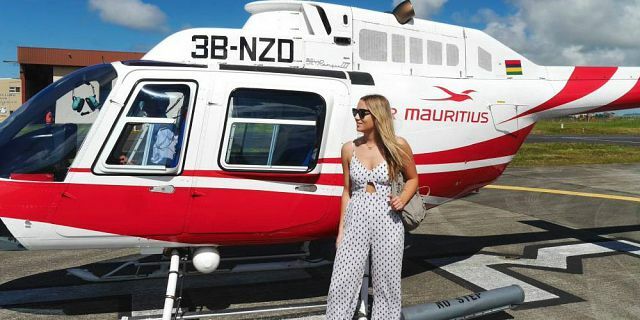 A trained and experienced helicopter pilot, according to global safety standards, will guide you throughout your amazing trip.